MoustacheMan is a funny character, doing his ordinary skydiving. Your goal is to help him beat his fly time record. 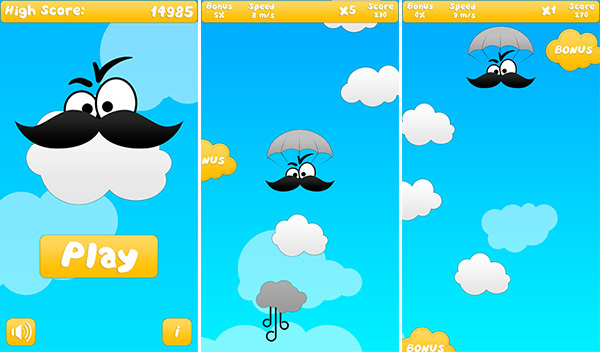 Move the clouds out of his way, help him with wind, and collect bonuses. Prove that you're the fastest, what's your score? Find it on GooglePlayStore when i will have 10 post I will provide short link. I'm starting my new 2d game. It's a lot of work and I still have a long to-do list. Please check it out, and don't hesitate to leave your feedback, wishes and ideas. Your support is very important for me.